What I remember most about my first time listening to The Pastels was that it was outdoors in a public park just outside Gurnee, Il., and some kid with a Jewfro, wearing a Fred Perry shirt played a cassette tape labeled “Scottish Indie”. These were the delicate days of me graduating from the 14-16 year old snotty punk rocker into a somewhat more sophisticated listener of music, that I feel at 29, I’m almost on my way to becoming. That first brush with The Pastels however was somewhat of a revelation. I began asking the older kids who know more than I did if they had more music that sounded like Glasgow outfit I had fallen for. I can take a Look back on the waning days of the 1990’s, and think about how magical it was to receive cassette tapes with bands like The Go-Betweens, Thee Headcoats, Beat Happening, early Pavement EP’s, and more. While those bands didn’t all sound very much alike, there was a definite connection between them, and it was with those tapes that I started my obsession with what K Records dubbed the “International Pop Underground”, and I guess that I have The Pastels to thank. I’ve been listening to the bands upcoming collaboration with Japanese band Tenniscoats called Two Sunsets; more specifically, I’ve been listening to this cover of the Jesus and Mary Chain song “About You”, and at first, felt a bit of trepidation. In reality, I don’t know what I should expect. 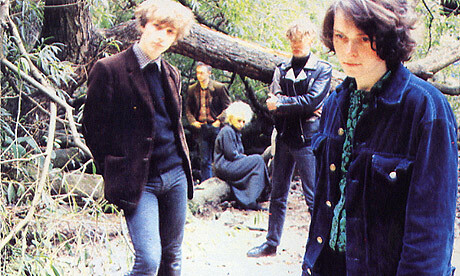 The Pastels are legends, and they have stayed true to the same formula for close to thirty years, the fact that this late in their career they would call upon somebody to collaborate with them shows that they still have a great deal of interest in making new, and better pop songs. While Two Sunsets may not contain the same revelation those cassette tapes did, it’s a great little indie pop record that fits nicely among the recorded material of a band that deserves all the praise they get. Boing Boing paid tribute to the twenty fifth anniversary of the release of the Minutemen’s album Double Nickles on the Dime, saying that it is “one of the greatest American punk records of all time (if not the greatest)”. I’d like to take that one step further, and say that it’s in fact one of the greatest American rock albums of all time. The band should rightfully take their place alongside the all-American greats like MC5, The Byrds, Sly and the Family Stone, and their idols, Credence Clearwater Revival. In theses twenty five years, their legend had grown, while more and more people come to realize how amazing and important this band was. Here’s to hoping that legacy continues to grow.